Paul Klanschek first heard of Bitcoin back in 2010 and has been fascinated by the impact of blockchain technology on the financial sector and other industries ever since. In 2014, he co-founded, what would four years later become the leading Bitcoin exchange in Europe – Bitpanda. Paul is well-established within the global crypto community and was as an advisor for popular digital currency projects like NXT, Waves, Lisk, Komodo, and more. Presumably, everybody has come across the terms blockchain, cryptocurrency, and Bitcoin, yet most of us are still wondering what these terms mean and how these technologies will influence our everyday lives. No matter if you are a cyber-expert or a rookie, you will be surprised how blockchain technology is going to turn our established systems upside down – in every respect! 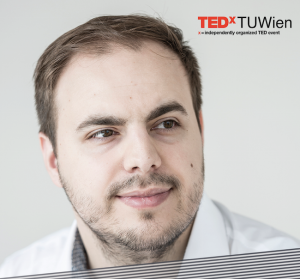 Paul Klanschek, our speaker, will take you into a fascinating world where trusting strangers suddenly implies security, and where no centralized authority not inevitably leads to chaos and anarchy but to order and coherency.